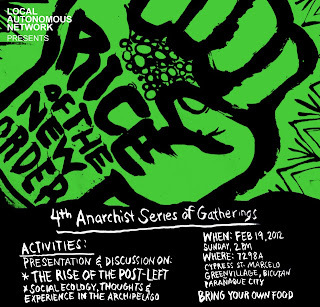 Local Autonomous Network or LAN presents ongoing discussions in connection to the anarchist gathering series that started in the end quarter of 2011. This event is the 4th one that publicly raises theoretical and critical analysis on related issues concerning the present day as well relevant history of struggles in different social angles and unmediated formations. 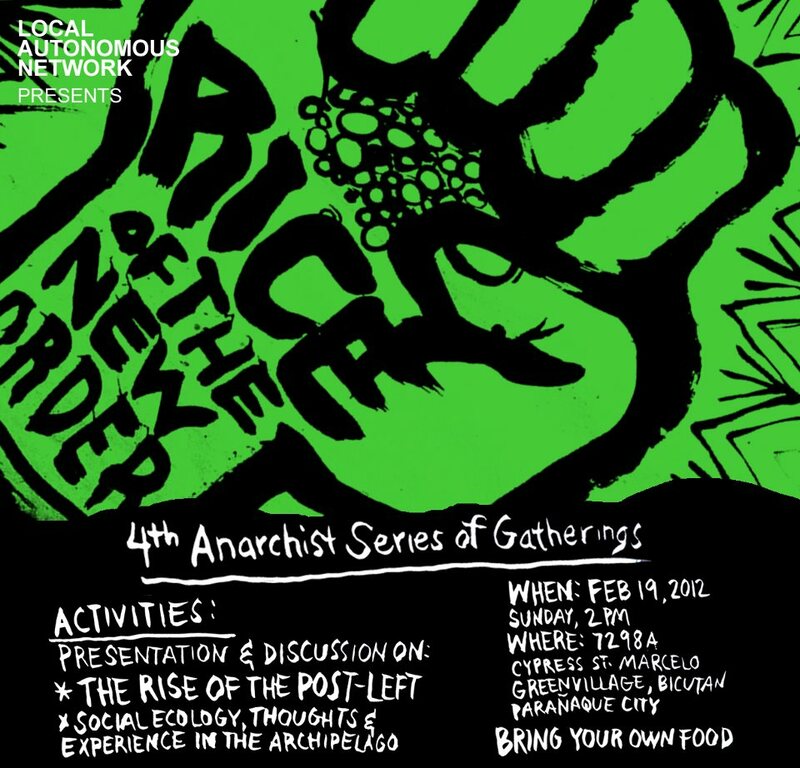 The upcoming discussions will spearhead two topics entitled " The Rise of the Post-Left" and "Social Ecology, Thought and Experience in the Archipelago". This will happen on February 19, 2012, Sunday starts at 2pm, at 7298 Cypress St. Marcelo Green Village, Bicutan, Paranaque City.